With its historic architecture, laid-back atmosphere and the futuristic art space Kunsthaus Graz, Austria’s second city is a delightful place to explore between business meetings. Here you can gaze at Austria’s past and take a peep into its future. There’s even more to this eminently agreeable city than its UNESCO-approved mix of Gothic, Renaissance, Baroque and contemporary buildings; indeed, Graz is now considered something of a culinary hotspot by savvy, food-loving travellers. Its wide selection of impressive restaurants, coupled with excellent wines from nearby vineyards and super-fresh produce from farmers’ markets on Kaiser Josef Platz and Lendplatz, are sublime enough to ensure even the most sophisticated of palettes are suitably satisfied. Graz’s compact size means you’re never very far away from a decent eatery. Here’s our top pick of the cafes and restaurants nestled in the city you just can’t afford to miss. If you enjoy a good view with your meal then Café Freiblick on Sackstraße will have you grinning from ear-to-ear as you tuck into one of its famously tasty breakfasts. It’s hard to believe that this convivial eatery on the sixth floor of the Kastner & Öhler department store is still something of an ​‘in the know’ place, even though it boasts an unobstructed view of the city’s historic centre, genuinely delectable coffees and delicious dishes of the day. Unsurprisingly, this place really comes into its own during the summer. When it comes to getting your contemporary art fix there’s no better place to head than the Kunsthauscafé right next door to the iconic Kunsthaus Graz. This cool, artsy venue is full of long tables and book-filled shelves, and keeps a slightly bohemian clientele happy with its vibrant yet reassuringly chilled vibe. 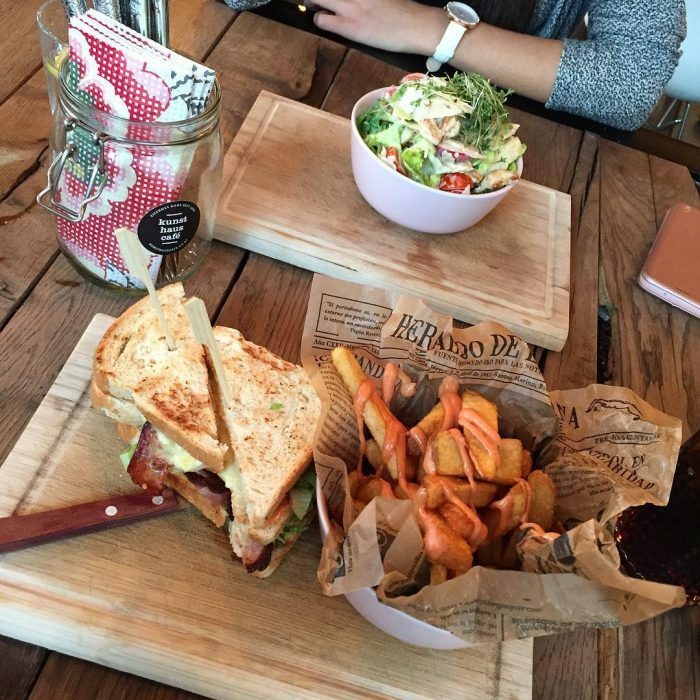 Visitors rave about the myriad burger concoctions, main-sized salads and signature ​‘Styrian Sandwich’ (a combination of crispy pork belly, creamy sauerkraut and horseradish). The coffee is also frequently lauded as the best in town. The ambience clicks up a gear after dark with gin and tonics, rosés and cool cocktails served to an electrobeat soundtrack. A little off the beaten track (by Graz standards), just to the southeast of the centre, is Gallo d’Oro, a swish and entirely authentic Italian joint famed for top-notch dining and drinking. Mouth-watering specialties from all regions of Italy are the order of the day here, as is an infectiously warm welcome in fresh, Mediterranean-inspired surroundings. The outstanding lunch menu offers particularly good value. Suffice to say, the house selection of wines and grappas is nothing short of excellent. Enthusiastic meat-lovers tend to agree that the rather bluntly named Steak Boutique is the best restaurant Graz has in the meat-and-more-meat niche. Simply because it turns out exquisite, perfectly cooked steaks of the very highest order like they’re about to go out of fashion. 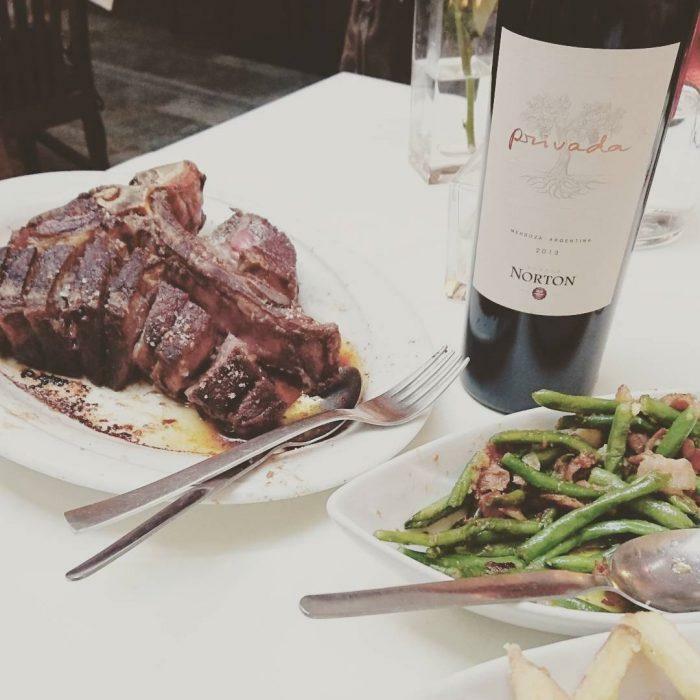 The waiters really know their stuff, and not just about steak – be sure to ask them about the wine. If you ask him nicely, owner Marco – a professionally trained breakdancer – will do ​‘the robot’ for you as his dog Kurby backflips and howls. How’s that for a memorable night out?